Yesterday was one of those rare extreme wine experiences. 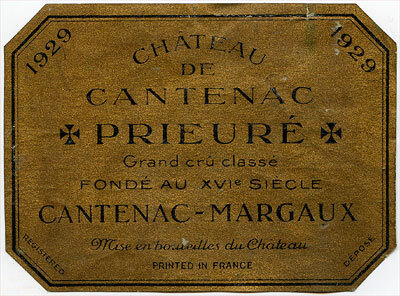 We stepped into a time machine by drinking the Château Prieuré de Cantenac (or Prieuré-Cantenac) 1929, the Médoc 4th classed growth today known as Château Prieuré-Lichine. 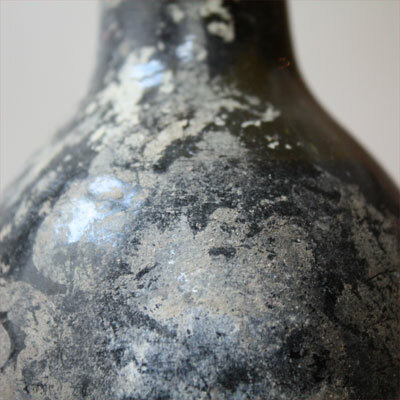 This bottle was a miracle, superbly cellared, almost 80 years in the same pitch-dark spot. 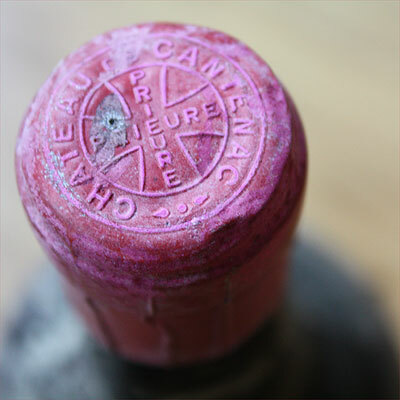 This bottle, and a series of other bottles including Château Brane-Cantenac 1920 which we opened a few years ago, had been forgotten for many decades. Around 1940 these wines had been tucked away safely in a sort of secondary cellar, behind a second wall, preventing the German invaders to find and confiscate the wines. By having done so the historic fate of this bottle changed: instead of being downed by some German officer in 1941, we drank it. In Amsterdam, in 2009. We imagined the then owner of Prieuré de Cantenac, Frédéric Bousset*, driving by the vineyard in his T-Ford inspecting the harvest, and the harvesters - helpful young farm hands wearing grey caps, and very ignorant of the fact that some wine emerging from the grapes they were picking would eventually be drunk by a hybrid car owner in 2009 (i.e. Jan van Roekel). About 5 years ago I tasted the same wine, but this bottle presented itself a lot better. 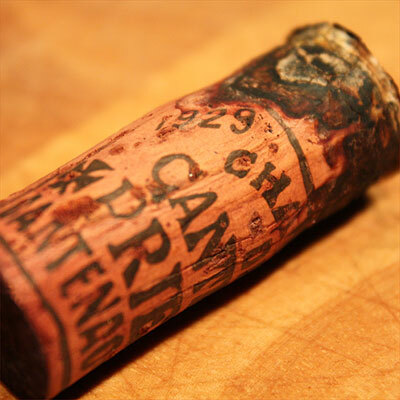 The ullage, the gap of air between cork and wine, was not particular big for a wine of such age, and also the cork was in a surprisingly good condition - I was able to pull it out without making any mess. 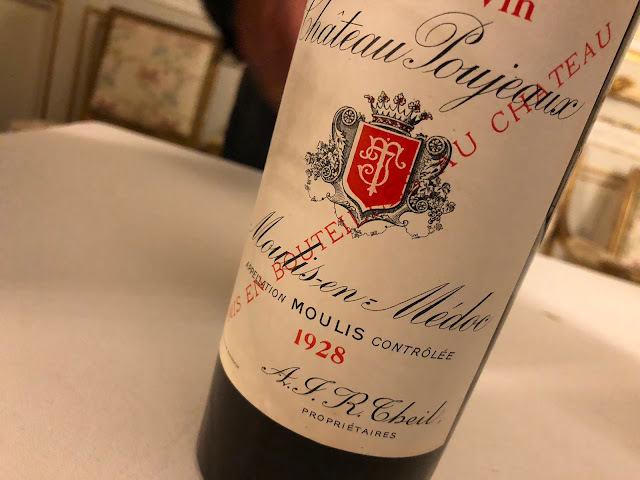 In general this wine presented itself much younger than what we expected, it really could have been decades and decades younger. This will definitely be related with the exceptional vintage, the perfect storage condition of the bottles, and of course the quality of the wine itself. What did we experience? The nose is surprisingly lively, a little sweet, and - less surprisingly - ripened. There is a round-deep scent, soft-autumnal, like a fresh(!) forest floor. The intensity of the nose is simply impressive. There is also something metallic there, blood and iodine. And old leather, and perhaps even a hint of chocolate. Once in the mouth the wine comes across soft yet spirited. The level of acidity reveals its age, but the total impression is that of a vital and wonderful wine. A wine with a texture of worn away velvet, bearing secrets that I am attempting to unmask - what a pleasant task. The wine has a whispering finish - tender, mysterious. It doesn't have the strength of a young(er) wine that just keeps on going, and you have to listen carefully to what this wine has to say when it lingers in the mouth. While feeling the wine I kind of dreamt away, envisioning planet earth and its orbit around the sun, thinking that this stuff has made 80 round-trips before it ended up on my tongue. And this image did not arrive at random: it corresponds with the shape of the after-taste of the Prieuré: a gently, harmoniously hovering field of energy, a far voice talking from a dark past. It was a spectacular time travel, and a wonderful wine experience. *It was through Chris Kissack's website The Winedoctor that I found that Frédéric Bousset was the owner of Prieuré de Cantenac in 1929. It needs to be said: Kissack's free source of information is one of the very best sources on the web. If you're looking for specific domain information there is no other free website that even comes close to what Kissack is offering. Brilliant story and great experience no doubt!!! The sense of history is marvelous indeed: I wonder whether the people harvesting the grapes in Cantenac in October 1929 were aware of what was (soon to be) happening on October 24, 1929 on Wall Street. Also, I noticed the "Mise en Bouteilles du Chateau" on the label rather than "Mise en Bouteille au Chateau". Is this just another (ancient) way of saying the same thing? Or was having your own bottles a thing to mention by the Chateau? And why plural?